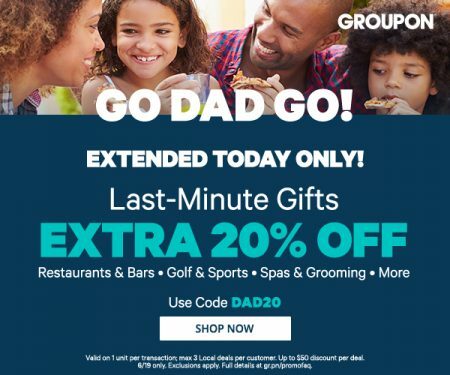 Groupon is offering a new promo code to save you an extra 20% off last minute deals for dad! This applies on any local deal including restaurants and bars, golf and sports, spas and grooming and more. Enter the promo code DAD20 at checkout. Offer is valid June 18-19, 2016.